Forget all about that Scientology stuff. Tom Cruise is a certified badass and madman. I’ve known for awhile now that Cruise was doing his own stunts, but this is just ridiculous. That dude can be as weird and insane as he wants, as long as he keeps pumping out awesome action movies. On another note, this is what makes some movies great. There’s nothing better than actual stunts and practical effects. Forget CGI and green screens. I understand that you need it sometimes, but lets be real. For example, Avatar was not that great. There’s a reason it lost Best Picture to The Hurt Locker and it has a lot to do with the point I’m making now. 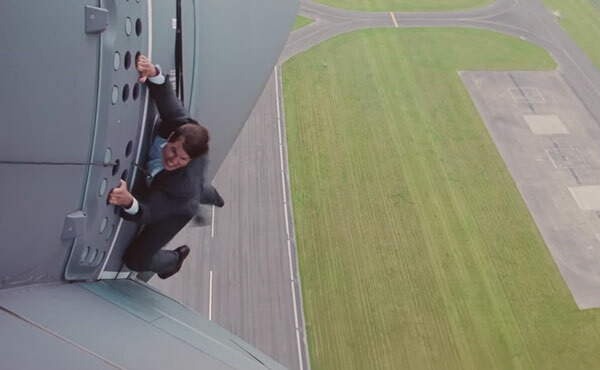 Also, if there’s an Oscar for Visual effects, there has to be one for stuntmen. Also again, remember when Cruise climbed the tallest building around like it was nothing? No? Here’s a reminder.